Date: Wednesday, 27th April 1966. Competition: Inter-Cities Fairs Cup, Semi-Final, Second Leg. 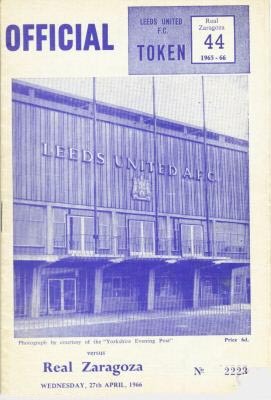 Score: Leeds United 2 Real Zaragoza 1. Scorers: Leeds United: Johanneson, Charlton. 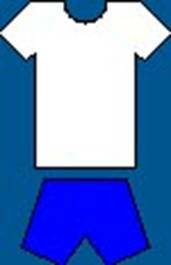 Real Zaragoza: Canario. 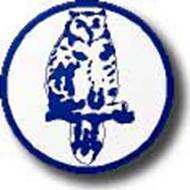 Leeds United: Sprake; Reaney, Bell; Bremner, Charlton, Hunter; Greenhoff, E. Gray, Storrie, Giles, Johanesson. Real Zaragoza: Goicoechea; Irusquieta, Isasi; Pais, Santamaria, Violeta; Santos, Canario, Marcelino, Villa, Lapetra. Real Zaragoza made only one change with Jose-Maria Goicoechea replacing Enrique Yarza in goal while United named an unchanged line-up for the return leg but adopted a more attacking strategy. On a hard pitch, more suited to the Spaniard’s natural game, United won the match 2-1, with goals from Albert Johanneson and Jack Charlton, to level the tie 2-2 on aggregate. There was no away goals rule in those days and Jack Charlton, United skipper since Bobby Collin’s injury, called correctly on the toss of a disc to give United home advantage in the Replay of the Semi-Final. 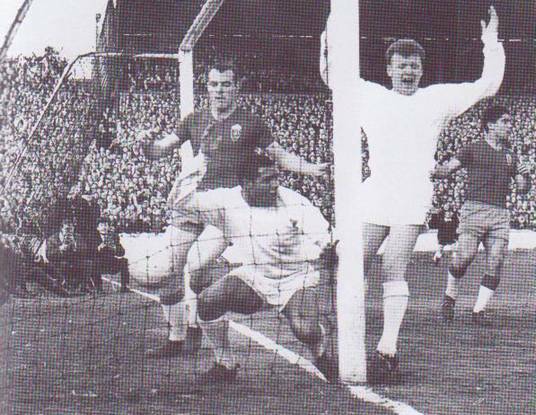 Real took the game to United early on and Santos Brito went close on three occasions, but Revie decided to push Billy Bremner up front and change positions with Eddie Gray and this paid dividends after twenty-three minutes. Norman Hunter released Willie Bell down the left and he in turn found Johnny Giles, whose neat forward lob was met by the head of Jack Charlton. 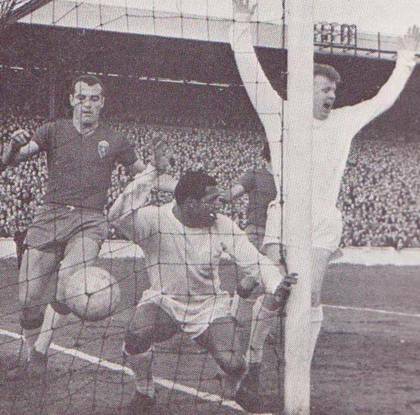 Both Billy Bremner and Albert Johanneson had pursued the through ball with such vigour that the Zaragoza keeper thought that discretion was the better part of valour and failed to cover it, leaving Albert Johanneson to prod the ball into the net. United took heart from their goal and threw everything at Real as the whole complexion of the game changed with Jim Storrie and Billy Bremner’s strong running starting to worry the Real defence. Willie Bell headed against a post and then went close with another header, but Jose Maria Giocoechea grew in stature to thwart Jack Charlton as he collected the ball to prevent a header from the United skipper. United were looking good for a second goal and a place in the final. However, Carlos Lapetra came more into the game in midfield, and Canario left Jack Charlton and Gary Sprake staring as he connected with a half-volley to score a stunning equalizer on the hour mark. This put Zaragoza and their all-star attack firmly in charge but that was soon to change. Lesser teams might have buckled but United were made of sterner stuff, and just three minutes later Albert Johanneson ran down a ‘lost cause’ on the by-line. He played the ball back for Norman Hunter, whose cross found the head of the on-rushing Jack Charlton, who had been pushed up to centre-forward, to score and bring the aggregate scores level. Real still kept attacking in a pulsating match and right at the death it was again Gary Sprake to the rescue with an excellent smothering save from Carlos Lapetra. 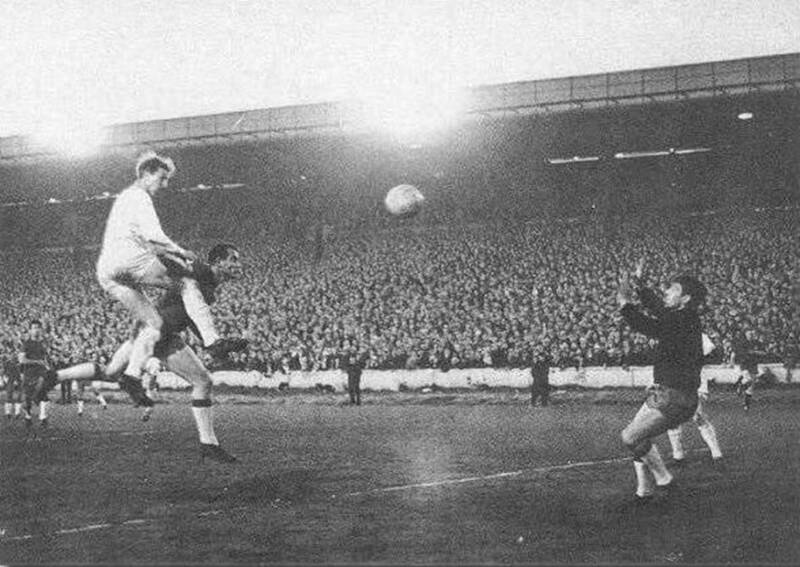 It was fitting that Jack Charlton, United’s ‘Man of the Match’, should get the equalizer for it was he that epitomised the never-say-die Leeds spirit and fitting too that having also made United’s first goal, was the one to call correctly to give United home advantage in the replay. In the other Semi-Final Barcelona and Chelsea also needed a third game to decide the outcome, in Chelsea’s case they lost the toss and faced another trip to the Nou Camp. Both replays were delayed as the countries were involved in vital Internationals in the lead up for the 1966 World Cup Finals and required the services of several players who were involved. In United’s case Jack Charlton and Norman Hunter were required for the game against Yugoslavia at Wembley on 4th May 1966.